Muncie Power’s Titan® MC1 Series power take-off is the first in the company’s lineup of Titan Class power take-offs to be released. The Titan MC1 is a medium-duty, 10-bolt clutch shift PTO designed to fit Allison 3000/4000 Series transmissions. Applicable within nearly any market using a Class 6 to Class 8 truck with an automatic transmission, the Titan MC1 sets itself apart from the fold with an easier installation. Milling the top surface of the Titan MC1's mounting flange allows the head of the cap screws to sit perfectly flat once installed so that the cap screw flange and housing are parallel; a hardened flat washer encourages proper bolt torquing as it does not resist being tightened like the tapered lock washers previously used on the CS24/25; and a cap screw with a friction reducing coating allows the installer to hand tighten the cap screws prior to torquing. Due to friction between the lock washer and bolt head, the prevailing torque required to tighten the fasteners was significant with the legacy bolt kit. This friction was created by the old style of washer, which gripped both the housing and the bolt as it was tightened. This gripping action was intentional and kept the bolts from loosening but also made tightening the bolts difficult. In layman's terms – before the bolts were even tight, a lot of torque was being used to get the fasteners to simply thread into the bolt holes. This meant that a significant amount of the torque was being used to overcome the friction between the bolt head and washer as opposed to being directed to the threads and therefore, clamping the PTO. Contrary to the legacy bolt kit, the prevailing torque of the Titan MC1's kit is very low, as the hardened flat washer greatly reduces the friction under the bolt head. 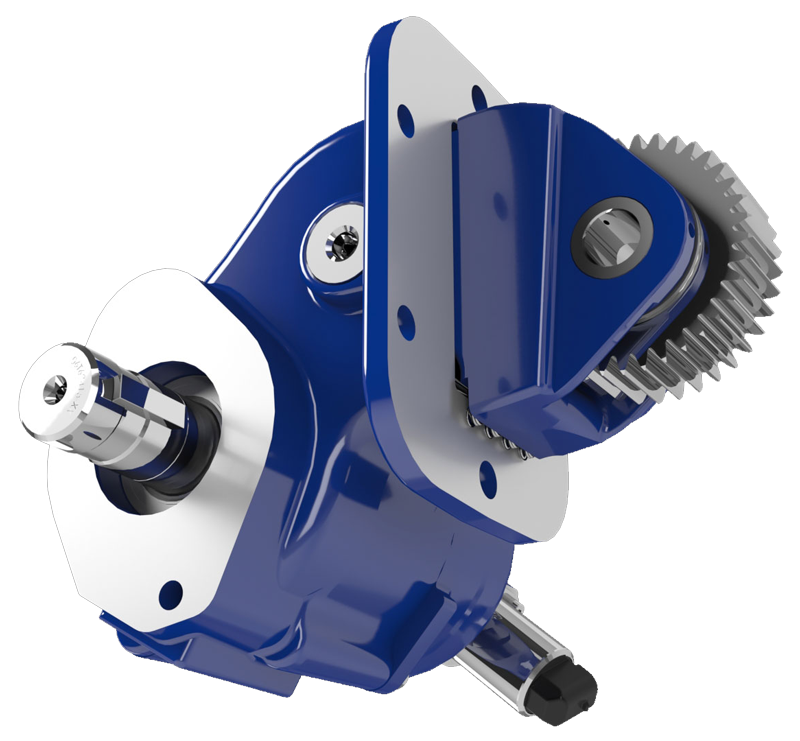 This means that the amount of clamping force the cap screws provide is directly related to the final torque value. Generally speaking, the vast majority of the torque is being directed to the threads to clamp the PTO as opposed to overcoming the friction between the washer and bolt head like with the legacy kit. When a quarter of an inch can be the difference between the ability to fit a torque wrench on a mounting bolt or not, providing the maximum amount of clearance and access to installers is critical. As this clearance and access continues to dwindle with changes to the chassis and transmission, power take-offs with the ability to adapt to these tight space constraints make all the difference. Key features incorporated into the Titan MC1 allow for the power take-off's shift cover, solenoid and pump flange to rotate in order to provide optimal positioning and avoid potential conflicts such as the exhaust line. With this increased clearance, installers of the Titan MC1 actually have the ability to hand tighten mounting bolts prior to torquing. The Titan MC1 offers three assembly arrangements to allow for mounting on either side of the transmission as well as on the top right. With variations in chassis and transmission, having a power take-off with multiple assembly arrangements available to meet your truck's needs helps makes installation easier as well.